The holiday season can feel like a neverending to-do list. 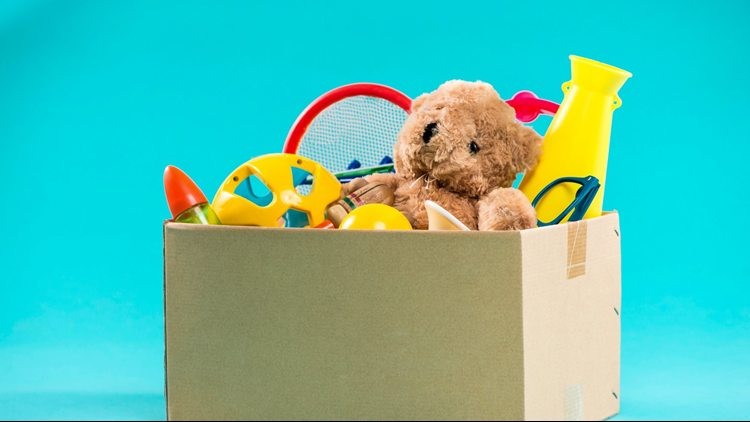 Let the first task you complete be the most rewarding: donate a toy. Currently, at your Les Schwab Tire Center, the Marine Toys for Tots program is asking for your help to bring holiday joy to children across Colorado. Despite Colorado’s booming economy, many families are struggling. With high housing costs and rising expenses, thousands in our communities have to forego buying gifts to pay for the necessities. To date, 548 million toys have been distributed and 251 Million children have been supported, according to toysfortots.org. Les Schwab Tire Centers has joined the cause for a third year by placing Toys for Tots receiving bins at 24 Front Range locations. The bins are awaiting your donation, so let’s kick off the season right and help bring joy to a Colorado families’ holiday. With the holidays, comes winter travel. Les Schwab answers your frequently asked questions so you can enjoy peace on Earth and peace of mind. Q: Why does my Tire Pressure Monitoring System light (TPMS) come on in cold weather? A: It’s normal for air inside your tires to compress when it’s cold. Tires will lose about 1 psi (pounds per square inch) for every 10-degree decrease in temperature. Whenever your TPMS light comes on, have your air checked and bring your tires up to the proper air pressure. Q: Do I still need snow tires if I have an all-wheel-drive vehicle? A: All-wheel drive does not mean your vehicle will drive like a tank in winter conditions. Proper all-season tires are probably sufficient for light to moderate snow; however, winter tires or snow chains are recommended if you’re driving in a blizzard or icy conditions. Q: Do I really need snow chains for my tires? A: If you do any amount of mountain-pass driving, you should have properly fitting snow chains and know how to use them. Our advice is to practice putting them on in ideal conditions (like in your driveway) before you actually need to attach them during slushy, cold, stormy conditions. For more details on how Les Schwab Tire Centers is helping your commute and your community, go to LesSchwab.com.